Dr. Haber has significant experience crafting youth bullying prevention strategies for schools, camps, and parents. 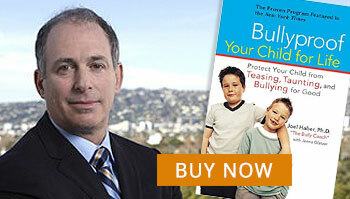 Dr. Haber has developed several anti-bullying programs directed towards the youth. Parents will learn to control emotion and comfort youth bullying victims. In more difficult situations, coaching sessions for the whole family are available.